Zikodrive Motor Controllers are designed to be as flexible as possible and are therefore suitable for a wide variety of industrial applications. Whether it be machine building or process control applications or new developments we can work with you to develop a controller or package that will work for you. Our standard range of motors and controllers provides a good basis of options but if you require specific communications protocols, a higher powered industrial motor controller or something completely new please get in touch to discuss your requirements. We understand that in industrial applications there are a lot of factors in play when choosing motor controllers. Of these reliability and trust in the controllers that you are using is the most important. You need to know that they will perform time and time again. That’s why we design and manufacture all of our motor controllers in the UK. Our controllers are manufactured under the AS9100 quality management standard (life and mission critical) in order to ensure that they continue to perform long after they’ve been installed. On top of this we strive to deliver value for money. Our customisation and bespoke design service allows us to save you money by delivering only the features you need. 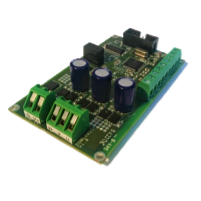 Talk to us about this or have a look at our bespoke designed motor controllers page to find out more. Contact us with a part number or specification and we'll get back to you with the best solution. 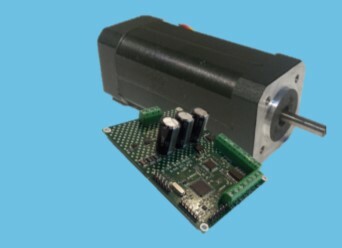 Look at our stock range of motors & controllers. Request a custom setup. I'm not sure what we want is possible? If you don't ask then you don't get! Submit an RFQ using our online form and we'll get back to you. Talk to our experienced team today - we're happy to help and advise. Browse our stock range to see if we have what you need. If we don't please submit a quote request. We understand that not every industrial environment is the same. What’s right for one type of application may seem bloated and over engineered (and therefore expensive) for another type of application. That’s why we offer a custom design service and modification service that goes above and beyond our stock range of motor controllers. Whether it’s a specific communications protocol you require, opto-isolated inputs, specific EMC testing or a controller that can handle an unreliable power source for export, we can help. We’ve designed controllers that have been exported around the world and used in a huge range of industrial applications from mining equipment to factory machinery to testing equipment. We will make whatever’s important to you, important to the motor controller. Whether it’s the importance of certain test standards, the inclusion of key features or strict unit costs for production, we will work with you to ensure that we meet your requirements. We build controllers that last. Doing this involves making decisions at the specification stage, the design stage and the production stage that will ensure that the controller is able to perform for many years, but also that the supply chain required to produce the controller will also be available for many years. We constantly monitor component availability and work directly with our suppliers to ensure long term supply of components before committing to a design. This means that we are able to design controllers that will perform in a robust way for many years, whilst also being confident of the ongoing supply of these in projects that may require supply for 20 years or more.